Ministers are urging pensioners to draw up legal plans setting out how they wish to be cared for in old age, to protect them against exploitation. Official figures show that since 2007, more than 900,000 elderly people in the UK have registered “lasting powers of attorney” so that a person can take decisions on their behalf, if they lose mental capacity. But ministers are concerned that four out of five registrations relate only to property and finance, rather than to health and welfare – with few pensioners drawing up plans for how they want to be cared for, should they develop a condition such as dementia. In an interview with The Telegraph, Simon Hughes, the Justice Minister, said the absence of such plans meant too many elderly people were forced to live in circumstances they would never have chosen, while others were put at risk of exploitation and abuse. Under the laws, individuals are able to nominate a person to take decisions about their care. They can also outline specific details about how they wish to be treated – such as a desire to stay in their own home as long as possible, or not to be resuscitated, and can set out details of religious beliefs, or dietary preferences. Without such information, dilemmas are faced by health workers and relatives – and can even result in “court of protection” hearings, officials said. The new figures from the Ministry of Justice show that of 900,000 registrations since 2007, just 180,000 have related to “health and welfare” while 720,000 relate to property and finance. Mr Hughes said such matters were better considered at the point of retirement, rather than delayed until the point of diagnosis, when discussions were likely to become much more fraught. Under the law, such agreements only take force if a person loses mental capacity, as agreed by an assessment by health professionals. Mr Hughes said: “This can protect families from really difficult dilemmas – if you make the decisions when you can, you avoid others having to take them for you. He said that the elderly were often less fearful of such decisions than their families, but did not know there was a way to make advance plans on such matters. “When you talk to those in these circumstances, often they don’t run away from it – they know their own minds but they don’t know there is a way to make provision for this,” he said. 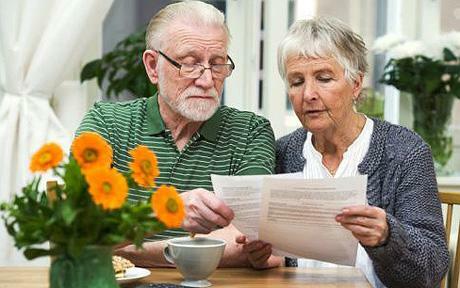 Research by the Office of the Public Guardian, which registers lasting powers of attorney, found that many people were not aware they could be used to make plans for health and welfare. But others admitted to feeling “superstitious,” fearing that drawing up such plans would mean that they were more likely to suffer from conditions which affected their mental capacity. Officials said it seemed that many people thought their financial affairs were more “tangible” and found it easier to contemplate the idea of ceding control of paying their bills, than of passing on responsibility for decisions about welfare. Mr Hughes said: “People should assume they will be less capable of looking after their affairs later in life – that needs to be the working assumption. This needs to be a conversation with someone you trust. He said that too often, decisions about welfare ended up being taken by health and care professionals who barely knew the individual, or by relatives who only began taking an interest after pensioner became too confused to assert their wishes. He said such steps also protected the vulnerable from exploitation. “Sometimes the people who present themselves – who appear at the care home when people are vulnerable are not those with the person’s best interests at heart,” he said. “Happily those cases are rare – but they should be enough to give sufficient warning about why you would want to have someone you trust taking responsibility,” he said. The Telegraph is supporting new awards by the Alzheimer’s Society, to celebrate the efforts of individuals, businesses and communities to create dementia-friendly communities, which will be presented next month.